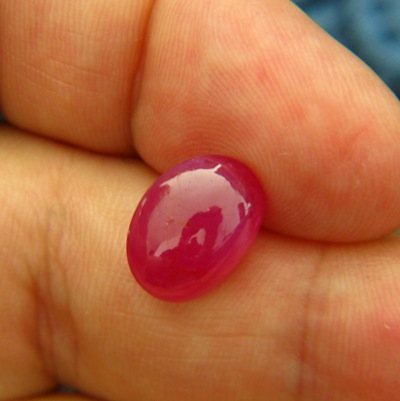 Comment: Certified untreated cabochon ruby. 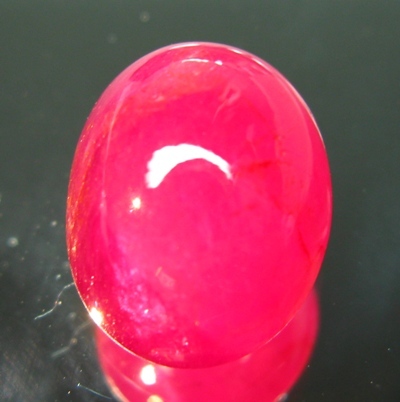 The internal structure is unusual consistent for cabochon ruby (even when compared with treated material): there are hardly any changes in saturation and hue throughout the gem. 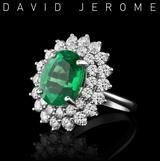 If a facet ruby of 8 carat is out of budget this is a great alternative. 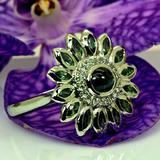 See additional photos in mixed day and sunlight.